We offer 50% of all visa consultancy fees to you. A great way to earn income from anywhere. Just sign up below and get your affiliate link. 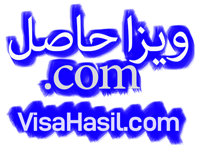 You earn when someone uses your affiliate link to pay visa processing fees on visahasil.com. You can copy your affiliate link and you can monitor your income below. Any earned commissions will be paid to your bank account. Try to fill out as much information so that we can contact you if needed. You can press signup now to get your affiliate link. You can fill out details later. If you have already signed up for affiliate then login with your email and password sent to you on your email. After clicking signup REFRESH this age to get your link.